Having the right 2 in 1 shampoo & conditioner will save you space, time, and money. 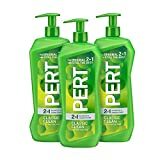 Instead of buying a shampoo and a conditioner separately, you can buy a 2 in 1 shampoo and conditioner and enjoy the benefits of both products in just one bottle. 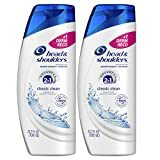 In this article, you will find a list of top ten contenders to the title of best 2 in 1 shampoo and conditioner, as well as their fundamental characteristics and features. The purpose of this article is to provide you with vital data to help you find the best 2 in 1 shampoo and conditioner for your hair. The Garnier Fructis shampoo and conditioner fortifies the hair and nourishes it from scalp to tip. It heals the hair from the inside and polishes it from the outside, making it shinier and softer. The formula features grapefruit antioxidants and natural proteins that protect and strengthen the hair. This shampoo & conditioner arrives in a 13-oz bottle and is recommended for people with normal hair (short, medium, and long.) If you want the best results, you should use this product on a day to day basis. The Head & Shoulders Classic shampoo and conditioner is the best anti-dandruff shampoo on our list. The product arrives in a 23.7-oz bottle (pack of two.) Its 3Action formula cleans, protects, and moisturizes your hair. The product has been dermatologically tested and is proven to work. The product is beneficial for removing dandruff and excessive oil from your hair and scalp. It is pH balanced but somewhat harsh, especially if it gets in your eyes. The Head & Shoulders Classic is fit for all hair types. The Garnier Fructis Grow Strong features a rejuvenating and toxin-free formula. It contains apple extracts and ceramide that fortify your hair as it grows from root to tip. After application, your hair should be stronger and shinier. Its protein packed formula feeds the hair with necessary minerals and vitamins (B3 & B6), helping it keep its strength and shine. Also, the follow up leave-in treatment helps you achieve optimal results. The product arrives in a 22-oz bottle. 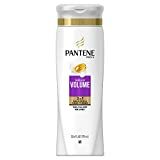 The Pantene Pro-V kit includes six 12.6-oz bottles. Pantene Pro-V’ formula features micro-moisturizers that detangle the hair and make it shinier. The Pro-V shampoo is also highly protective, preventing the buildup of excess oil on your scalp. The product is intended for people with fine and flat hair. For best results, apply the shampoo on your hair and leave it for 2-3 minutes. This 2-in-1 shampoo and regenerator will add volume to your hair and protect its roots. We also recommend it to those that have oily hair. The Suave Professionals features a pH-balanced formula that keeps your hair vibrant and colorful. This product was made for colored hair, but you can use it on non-colored hair too. Its formula features extra keratin, which strengthens the hair and provides effective frizz control. The Suave Professionals is effective but gentle; it cleans your hair without tearing, and it also seals the hair from the inside, giving it a fantastic shine. The product works best when you pair it with other Suave products. The Pert Classic Clean is a reasonably old product. But, despite its age, this product is still praised by thousands of loyal consumers. This item features an exceptional cleaning formula, perfect for those who want to remove oil and dandruff out of their hair. It is simple to apply and safe to use, free of parabens and other toxic chemicals. Note that this product is recommended for men only! The kit includes a pack of three 11.3-oz bottles. The MITCH Double Hitter is the best 2 in 1 shampoo and conditioner on our list when it comes to luxury. Its formula nurtures the scalp and increases the volume and the overall appearance of your hair. It also detangles your hair, delivering a smooth and soft finish. It foams exceptionally well and features a color-safe formula, which is why we recommend it to men that dye their hair. The product is incredibly dense, which means that the 33.8-oz bottle will last you for a very long time. The MITCH Double Hitter is made for men only. The Dove Nutritive Solutions moisturizers your hair without adding any weight to it, which is why your hair will feel smooth and light after you apply this shampoo. This is the best 2 in 1 shampoo and conditioner for women who recently dyed their hair due to its highly protective formula. The Dove Nutritive Solutions is recommended for everyday use. Its formula nourishes the hair, strengthens the roots, and smoothes the hair tips. It rinses quite cleanly and quickly, giving your hair a vibrant shine. The Suave Men shampoo and conditioner is the best 2 in 1 shampoo and conditioner for dandruff, flaking, and scalp itching. It is designed to address the specific needs of men, and it is proven to clean hair with ease. Its advanced formula eliminates the need to buy a shampoo and conditioner separately, since this cleans and conditions your hair at the same time. It helps your hair retain its essential moisture and it does not irritate your scalp. The last and the best 2 in 1 shampoo and conditioner on our list is the Dove Men+Care shampoo and conditioner. It features an incredibly thick and reinforcing formula, engineered for men that have thin hair. Moreover, we highly recommend it to men that are worried about hair loss. The Dove Men+Care increases hair’s volume with the help of caffeine and a calcium enhanced formula. After just several applications, your hair should be denser, healthier, and more resistant. The product goes well with all other Dove products. The kit includes four 12-oz bottles. Using the best 2 in 1 shampoo and conditioner will ensure that your hair stays healthy and vibrant. Also, the right product will regenerate damaged hair, rejuvenate the roots, and increase the hair’s volume. We hope that this article was useful and that it will help you find the best 2 in 1 shampoo and conditioner for your hair. What is your favorite shampoo & conditioner combo? Let us know in the comments section below.